Following a final vote and Land Use Zoning approval in December, Hyperion Brewing Company is wasting no time in moving ahead with its construction plans. The new nano-brewery, located at 1740 N. Main Street, just north of downtown in Jacksonville's Springfield area, is taking over property occupied by a former pawn shop. According to Alexandra ("Alex") McKeown, Hyperion owner, the space is essentially empty, and any remaining demolition work should be minimal, paving the way for the build-out. Last year, McKeown and head brewer/partner Troy Orton held several free tastings around Jacksonville where the public sampled some of the upcoming brews that the brewery will feature once opened. At this stage, Hyperion intends to pour its house beer from 12-15 taps. McKeown isn't committing to an opening date just yet, allowing the construction to dictate when the doors will formally open and thereby avoiding opening delays. The public is invited to attend a pre-construction tour of the venue Saturday, January 7, between 10:30 am -12pm, at which time Alex and Troy will be on hand to answer questions about the zoning approval process, the upcoming construction, and, of course, the beer! Alex and Troy will share the building plans and give attendees background information about their new community brewery. Guests will be treated to a complimentary mimosa (age 21+) (please RSVP via Hyperion's Facebook page so that they can be sure to have enough glasses and mimosas). While the total brewery space measures approximately 5000 sf, roughly half of that will be used initially, for the tap room and a small production area, says Alex. Plans call for an additional production area which will be developed in response to brewery growth down the line. The venue will also offer an outdoor seating area at the rear of the building, and the brewery intends to partner with local food trucks for on-site dining options. 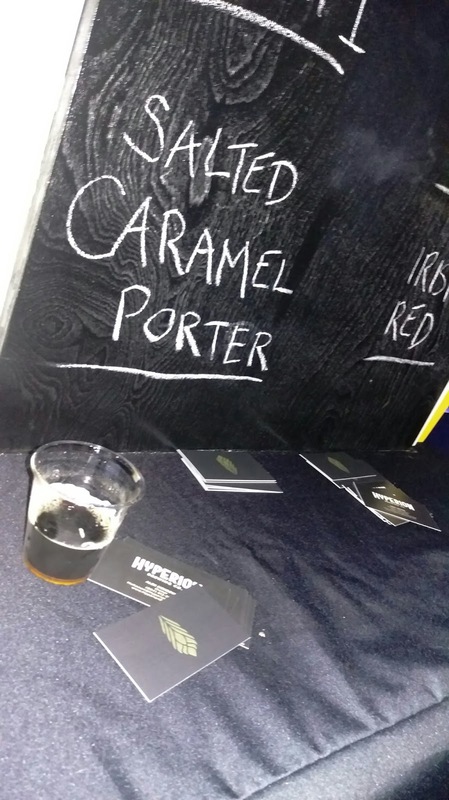 Hyperion Brewing will feature a constantly-rotating tap list, without a "core" group of beers. The brewery website exclaims "We prefer flights to flagships." In a "rebellious spirit," the brewery intends to create a range of beers from classics to "forgotten styles" while "pushing the limit" of craft beer. The point of the wide variety is to give guests something new to always try, says Alex. 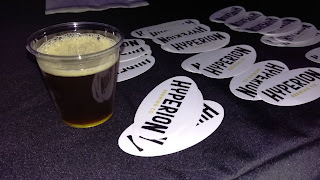 Hyperion wants to make visits to the tap room engaging, while allowing patrons to "discover something new" each time, as well as looking forward to and enjoying return experiences. 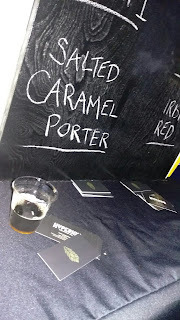 If the prior tastings were any indication, the format will also allow brewer Troy to showcase the many different types of beer that he has created (this writer enjoyed a number of them, from the Salted Caramel Porter, Irish Red, IPA, English Bitter, and Milk Stout, to the Imperial IPA). Hyperion Brewing expects to provide updates on its construction progress as things go forward, culminating with an announcement about opening day. The New Year is bringing New Beer, and more new breweries across the Sunshine State. Lots of choices, and more new beer to experience!